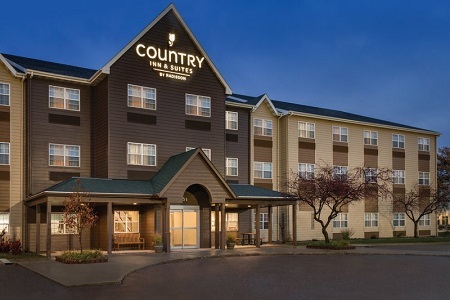 Conveniently situated off I-29, the Country Inn & Suites® by Radisson, Dakota Dunes, SD is only six miles from Sioux City, where you’ll find attractions like the Tyson Events Center and Hard Rock Casino. 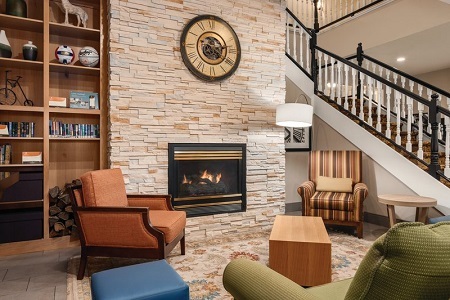 See a Broadway show at The Sioux City Orpheum, or pack your clubs for a day on the links at Dakota Dunes Country Club or Two Rivers Golf Club, both within two miles of the hotel in North Sioux City, SD. It’s always a good morning with our free, hot breakfast. Fill your plate with tasty selections such as bagels, fresh fruit and Belgian waffles. For lunch and dinner, head to Sioux City for Caribbean fare at Rebos, or try the carne asada burrito at Lupita’s Tacos. If you’re interested in room service, order from the adjacent Graham’s Grill & Pub. Tyson Events Center – Drive about six miles east to see the Sioux City Musketeers hockey team and the Sioux City Bandits arena football team compete against their rivals. This events center also hosts big-name musical acts throughout the year. Mercy Field at Lewis & Clark Park – Take the family out to a ball game at this stadium just 10 miles away. For a different perspective on the field, cheer on the Sioux City Explorers from the Bullpen Party Deck, which includes a picnic buffet dinner with admission. Two Rivers Golf Club – This public course lies along the Big Sioux River, providing a beautiful setting for golf enthusiasts. 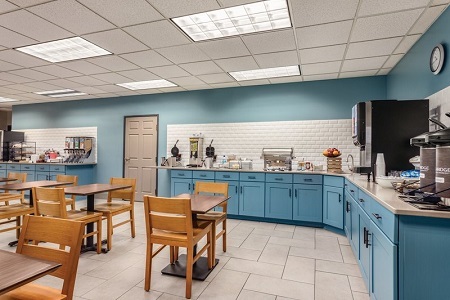 Book a tee time online for an 18-hole round with a par of 70, and then unwind in the on-site snack bar. Facilities also include a pro shop. 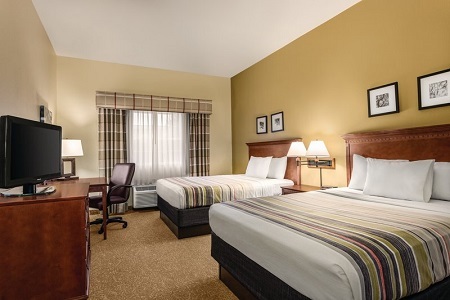 For a convenient meeting space off I-29, reserve our hotel conference room for up to 30 people. Our professional staff can assist with audiovisual needs, event planning and setting up a Web page specifically for your gathering.